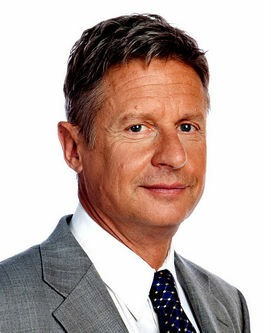 May 24th 2011, 18:03 by W.W.
..ILYA SOMIN, a law professor at George Mason, takes up one of the urgent questions of our age: which libertarian-leaning Republican bucking for the GOP presidential nomination, Ron Paul or Gary Johnson, ought libertarian-leaning Republicans and Republican-leaning libertarians prefer? Mr Somin makes a strong case for Mr Johnson, an ex-governor of New Mexico, citing Mr Paul's "very nonlibertarian positions on free trade, school choice, and especially immigration", in addition to his penchant for unusual interpretations of the constitution, and his past association with racists. Like Paul, [Johnson] is anti-war, anti-big government and pro-civil liberties. But unlike Paul, he is pro-choice (except for late-term abortions), pro-immigration, pro-trade and untainted by bizarre conspiracy theories that NAFTA is a prelude to the dissolution of North American borders. Nor does he have Paul’s racist newsletter baggage. His signature issue is not abolishing the Fed or returning to the gold standard. Rather, it is avoiding the impending financial collapse by cutting government spending on everything by 43 percent—Medicare, Medicaid, Social Security and defense—a plan bolder than any that either party has proffered. Johnson cut in half the 10 percent annual growth his state budget had been experiencing. He vetoed 750 bills, a third of them Republican, privatized government services and trimmed public-sector employee rosters. He lowered taxes and still exited with a tidy budget surplus.